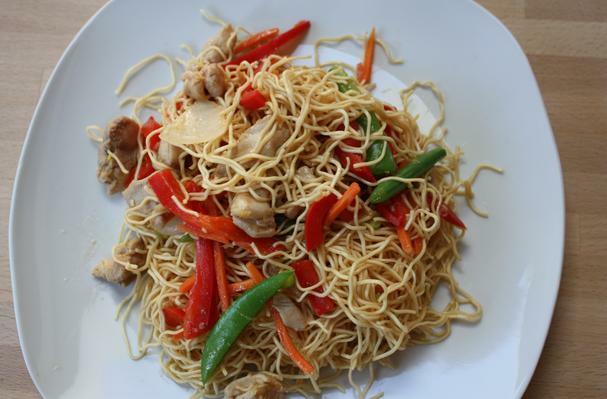 Noodles are a popular item on any Asian restaurant menu, but these often stir-fried dishes are usually loaded with fat and calories. 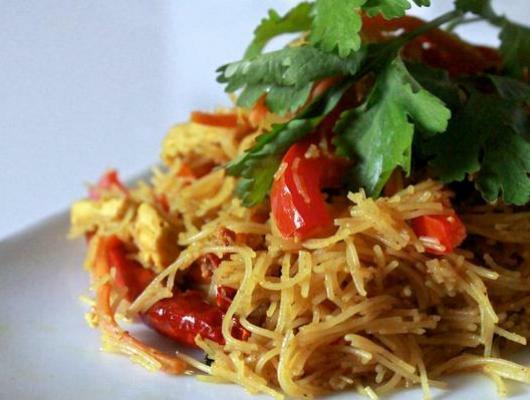 Below are a few of our favorite dishes including a vegan Coconut Curry Ramen Noodle dish, a Zucchini Noodle and Beef Pho soup that is loaded with nutritious ingredients, a ready-in-30-minutes Chinese Style Chicken and Noodle Stir Fry, a Singapore Style Vermicelli Noodles dish that boasts a bevy of fragrant flavors, plus a Beef Lo Mein stir fry that's super easy and versatile! They're all easy enough to whip up any night of the week, plus they're satisfyingly delicious and won't bust your diet. Rich, creamy, and vegan! This healthy dish is comforting, good for you, and will fill you up! 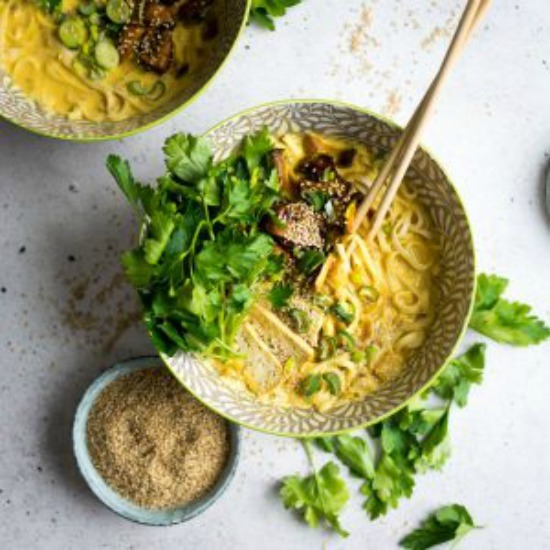 This popular Vietnamese soup is loaded with fragrant and healing spices like cinnamon, star anise, cloves, and ginger, plus good-for-you ingredients like bone broth and fresh herbs such as cilantro and basil. Kids will love the zucchini “zoodles,” parents will love the nutritional benefits - everyone will love the flavor! 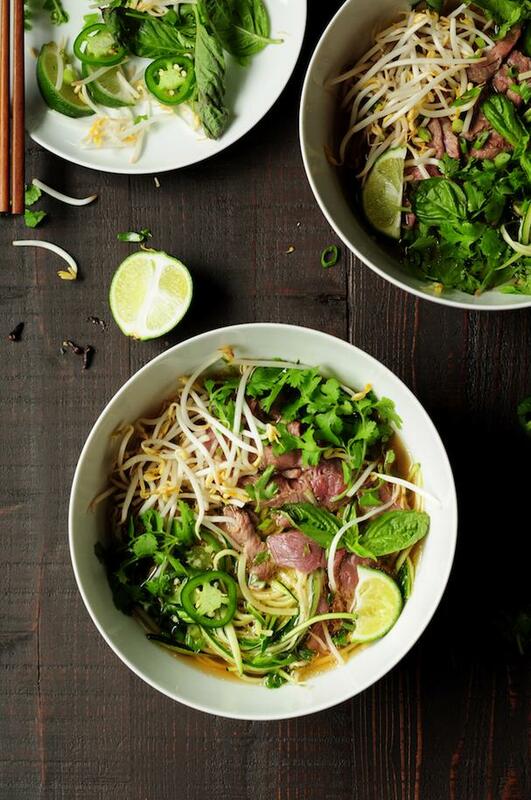 Alternative version: swap out the beef and beef broth for vegetable broth and veggies and/or tofu for a vegetarian version, or use chicken broth and chicken meat. This stir fry dish takes just 30 minutes to make from start to finish. Onion, sweet red pepper, carrots and sugar snap peas are tossed with fresh (or packaged) chow mein noodles, chicken and a delicious sauce of garlic, ginger, oyster and soy sauces, a bit of sugar, and chicken broth. This is a much "cleaner eating" version than the classic Chinese restaurant dish. Seafield Farm's vegan take is loaded with tofu and veggies and boasts a bevy of fresh and vibrant ingredients like ginger, cilantro and lemongrass, plus curry powder, soy sauce, lemon juice, and hoisin sauce to make the flavor sing! 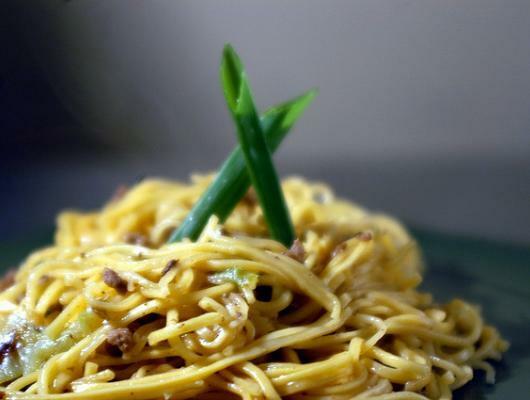 This easy noodle dish has a short list of ingredients, making it an easy recipe to conquer any night of the week. I love its versatility, too! Swap out the beef for chicken, all veggie, tofu, fish or seafood.